Senator Chuck Grassley speaks in Fort Dodge. Republican Chuck Grassley today said his bid for a seventh term in the U.S. Senate isn’t the kind of “slam dunk” he’s had in the past. 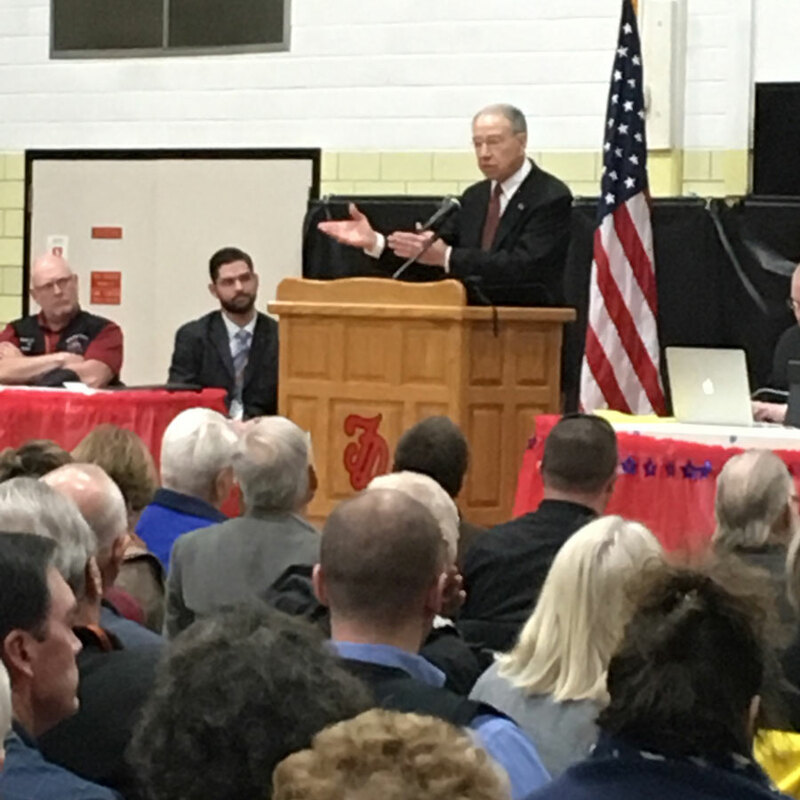 Grassley delivered a brief midday speech to the delegates gathered for the Iowa GOP’s fourth district convention in Fort Dodge. “I’m asking you, I’m begging you, I’m imploring you: Will you do all you can to help me win reelection?” Grassley asked, getting applause from the crowd in response. Grassley focused most of his remarks on the fight over the vacancy on the U.S. Supreme Court. Grassley told reporters the “Washington establishment” will spend “big resources” promoting Democrat Patty Judge, the candidate he said has been “recruited…by the White House” to run against him. Grassley got a standing ovation from the more than 600 Republicans in Fort Dodge when he called for letting the “next president” choose the next Supreme Court justice.